When is the best time to plan runway maintenance if you operate a very busy airport? It’s a complicated question, since the answer depends on wind and weather conditions, available capacity, hours of daylight, and the complexity of the maintenance project itself, just to name a few. Predictive tools using big data and intelligent runway configuration algorithms can help reduce the uncertainty for an airport’s operator. Can the risk of additional capacity restrictions be predicted and, thus, mitigated? Since configuring runway use is heavily dependent on actual weather conditions, having a required runway closed for maintenance can seriously limit an airport’s capacity. Past runway maintenance at Schiphol Airport to the Kaagbaan (runway 06-24) and Zwanenburgbaan (runway 18C-36C) highlights the difficulties of having the necessary runways unserviceable when they are needed most. The additional capacity issues resulting from bad weather conditions caused numerous delays and cancelations during the maintenance period. Can the risk of additional capacity restrictions be predicted and, thus, mitigated? A predictive tool that can support runway maintenance planning is extremely useful for this, especially when a large and complex multi-runway airport is facing the challenge of deciding when to maintain which runway. Having one or more runways unserviceable due to maintenance puts limits on the number of runway configurations, or runway modes of operation (RMOs), that are possible. Demanding wind and visibility conditions when RMOs are already limited can cause real headaches for capacity planning. To return to the example at Schiphol, the airport has three preferred parallel runways (18R, 18C, 18L) for stormy wind conditions gusting to 40kts or more from a S/SW direction. During arrival peaks, 18R and 18C are used for arrivals and 18L for departures. Closure of runway 18C meant only one preferred arrival runway was available in heavy winds. The only other runway available for such conditions (Oostbaan, runway 04-22) has very low capacity because it lacks highspeed exits and arrivals must cross the departure runway 18L. Amsterdam Airport Schiphol runway layout. The expected need for a specific runway during any given maintenance scenario can be predicted to a reasonable level of accuracy using historical weather and runway usage information in conjunction with intelligent hybrid (empirical and theoretical) runway forecasting algorithms. To70 developed such an application for the Knowledge Development Centre (KDC) Mainport Schiphol. Applying this tool to the Schiphol example for a target arrival capacity of 63 flights per hour (preferred arrival capacity for a major carrier at Schiphol), the results also ‘predicted’ that the chosen runway maintenance period would be the least favourable. The best period, with the lowest probability of not reaching the target capacity, would have been during the summer (see table). Most of us would assume the summer vacation period is simply too busy for Schiphol to close an important runway. However, it is also the period with the highest probability of calm weather and, therefore, less risk of unexpected additional restrictions. 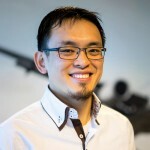 Haiyun Huang graduated as Aerospace Engineer at Delft University of Technology. He started in 2014 at To70 the Netherlands. He is an aviation consultant with experience in aeronautical studies, environmental assessment, PANS-OPS, and rapid prototyping.